CoinAfrique, the most downloaded classifieds app in French-speaking Africa, aims to exceed 10 million monthly users by 2022. The classifieds ads platform CoinAfrique has raised € 2.5 million from several investors, thereby cementing its ambition to become the mobile audience leader in francophone Africa. Launched in May 2015, CoinAfrique is the leader in mobile classifieds in French-speaking Africa. Thanks to its mobile app (available on Google Playstore and iOS) and its website, CoinAfrique connects the largest community of online sellers and buyers (more than 150,000 active users) in 16 African countries. CoinAfrique has established its hub in Dakar (Senegal) and has offices in Cotonou (Benin), Lomé (Togo), Abidjan (Ivory Coast) and Kinshasa (Democratic Republic of Congo), since the beginning of April. In 2017, CoinAfrique became the most downloaded mobile application for classified ads in French-speaking Africa (more than 600,000 downloads for almost 5 million sessions opened since its launch). Today, CoinAfrique has more than 150,000 monthly active members, span across 16 countries. In November, it was the only francophone start-up among the 20 selected to participate in the first edition of XL Africa, the start-up acceleration program initiated by the World Bank. New shareholders include Investisseurs & Partenaires (I&P), an impact investment fund dedicated to SMEs in sub-Saharan Africa, and a pool of investors represented by French Partners and Mercure International, a leading retailer in French-speaking Africa. 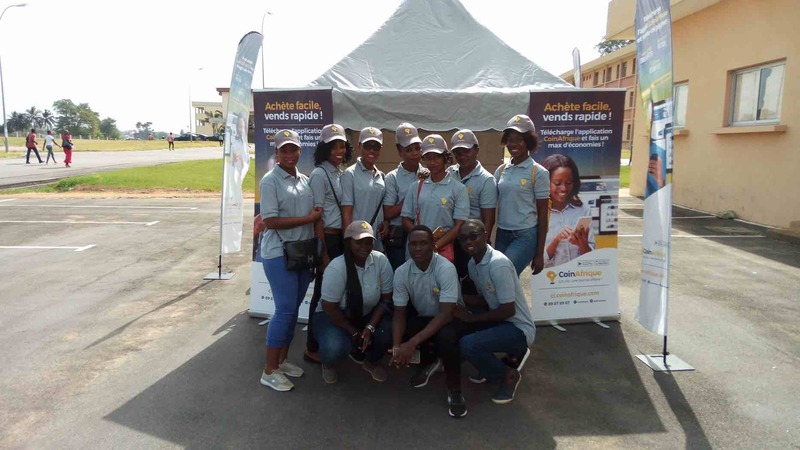 CoinAfrique becomes the first start-up in the classifieds space in French-speaking Africa to raise € 2.5 million, highlighting its ability to scale up its model and reach its ambitious target. See the venture profile for more information. This fundraising is part of a generally favorable trend for start-ups in Africa. According to venture capital fund Partech Ventures, African start-ups raised $ 560 million in 2017, up from $ 368.8 million in 2016, a 53% year-on-year growth. There are also more transactions (128 in total), as well as a wider geographical distribution. The classified ads model is one of the most profitable in the online space and in other emerging economies, these apps are growing more popular, such as Carousell, a Singapore based start-up that recently raised $ 70 million. For more information, visit the company website or see the venture profile for more information.